We have a team of consulting lawyers. psychologists, academics and multi-disciplinary practitioners across a range of key areas. Our programs are designed with assistance and guidance of this team. Aarif is a Criminal Defence Barrister who has extensive experience and expert knowledge across a broad range of criminal defence issues; he provides excellent, culturally sensitive and compassionate legal services tailored to your specialist needs. Aarif also has specialist knowledge in Human Rights Law and the Criminal Justice System. He is a community advocate, certified Mediator, Adjudicator, Public Sector Adviser ( HRC, OEC) and a lecturer. Aarif was born in NZ to Fijian-Indian Muslim Parents, his mother’s family being both Hindu and also Christian. He identifies with multiple minority communities and personally understands the importance of culturally sensitive service and thus is conscious of making sure his practice is culturally aligned to his clients need. Aarif has developed into a human rights, peace and restorative justice practitioner who aspires to uphold both compassion and justice as parallel essentials to successful conflict and case resolution for both individuals and communities. He is interested in the development of legal, linguistic, and justice literacy in the Asia-Pacific region, including the Rule of Law, and specifically the role of traditional, adaptive legal systems to meet the complex needs of post-modern pluralist societies. Founder of Mizan Library, a specialist faith, law, spirituality and well-being library focusing on spirituality and practice in the modern world. 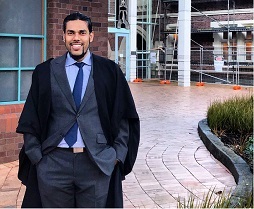 Founder of Roskill Community Law, a niche law office catering for diverse and complex ethnic and religious communities. Please click here for detailed bio-data. Please use the contact us page to direct your enquiry through one of our organisations.